It can be confusing for employers working with staffing firms to fully understand the different types of relationships and service levels that are available in the staffing and recruiting industry. 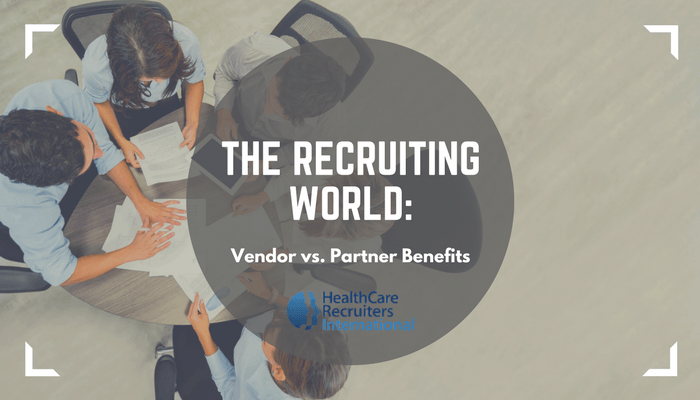 One area that’s often especially confusing to employers is trying to understand the difference between a staffing vendor and staffing partner in the recruiting process. Understanding that difference is important, however, before engaging with a staffing or recruiting firm. Let’s take a look at both staffing vendors and partners and how they differ. Staffing vendors can meet a need and fill a void. Need a quick hire, or to fill a few openings fast, even if it’s not the best fit? Then a staffing vendor can likely provide that service. While that fills an immediate need, over time, staffing vendors often keep employers busier when trying to fill open roles. That’s because vendors send numerous clients your way without truly taking the time to get to know your business, company culture, or what type of person would be right for the position. They just know if they send enough people to the client, one will eventually fit and the position will be filled. Or, as an employer, that you’ll settle for someone because you are tired of the revolving door of candidates—or employers who don’t work out—coming through the company. Vendors want the quick sale, quick fill, and then the chance to move on to the next in line. Staffing partners typically provide a much fuller relationship. They’re often higher quality (and higher priced—but they provide a much greater service), and truly know what the client needs. They work to understand the client’s business, goals, and mission. They are almost like an extension of that company, that’s how involved they get. A staffing partner also does more than just collect resumes to fill jobs. Staffing partners not only vet resumes and candidates, but they get to know candidates through phone interviews. They’re constantly looking for top talent, and once found, they dig deeper to find out if that talent matches the employer’s needs. A partner will take the recruiting process to the next level. If a candidate seems to be a great fit from a skill and experience standpoint, but after an interview, there are some questions a recruiting partner does their due diligence (contacting references for example), to answer those questions before sending to an employer. Perhaps they’ll bring them in for another interview, and ask additional questions. Partners work to ensure quality versus quantity. Partners are driven by relationships; vendors are driven by the deal. And as everyone knows, the business world is all about relationships. That’s why finding a staffing partner versus a staffing vendor is often the right solution to solve your hiring challenges. Be cautious of this and know what you are getting into before signing on the dotted line the next time you engage with a recruiting or staffing firm.